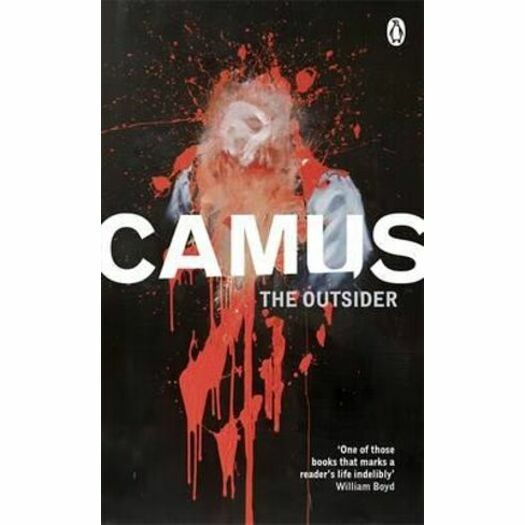 The Outsider is an enduring classic of existential writing by Albert Camus 'Mother died today. Or maybe yesterday, I don't know' Meursault is different. He will not lie. He will not pretend. He is true to himself. So when his mother dies and he is unmoved, he refuses to do the proper thing and grieve. Returning to Algiers after the funeral, he carries on life as usual until he becomes involved in a violent murder. In court, it is clear that Meursault's guilt or innocence will not be determined by what he did or did not do. He is on trial for being different - an outsider. 'The story of a beach murder, one of the century's classic novels. Blood and sand' J.G. Ballard 'A compelling, dreamlike fable' Guardian Albert Camus was born in Algeria in 1913. He studied philosophy in Algiers and then worked in Paris as a journalist. He was one of the intellectual leaders of the Resistance movement and, after the War, established his international reputation as a writer. His books include The Plague, The Just and The Fall, and he won the Nobel Prize for Literature in 1957. Camus was killed in a road accident in 1960.